Vancouver sedan service with the finest fleet of extra large black Lincoln Town Cars. Sedans are an ideal travel choice for clients who require discreet, safe, comfortable private transportation. Professional drivers, super clean vehicles and affordable rates make sedan travel a perfect option for everyone. Sedan service starts at just $75 per hour. Sedans are ideal for 1-3 passengers. Every sedan is defined by a sleek black exterior and luxurious black leather interior. They are fully equipped with rear seat vanity mirrors, a rear seat centre armrest, tinted windows, air conditioning and stereo with satellite radio. A sedan is our smallest vehicle. They are the cheapest vehicle to operate, needing less fuel and maintenance than a limousine or bus. The interior of a sedan has much less equipment and entertainment features than our larger limousines. Sedans hold the fewest number of passengers: ideal for 1-3. These reasons are why sedans are the most economical travel option available. Although they are cheap to rent, sedans have comfortable interiors and large trunks for lots of cargo storage space. Our large fleet of sedans means they are usually available even on short notice (reservations are recommended). Ritz works with many of BC’s largest companies supplying corporate and executive sedan service for executives, staff and VIP clients. Sedan rentals are a fast, easy and affordable way to ensure executives get to their appointments on time and in a safe, stress free manor. Ritz can also provide airport and hotel meet and greet sedan service. A sedan is an economical and safe transportation method to Whistler BC. Every sedan is equipped to handle winter driving conditions. This make sedan travel one of the safest ways to travel to Whistler during the winter months. Our executive sedans are designed for 1-3 passengers. 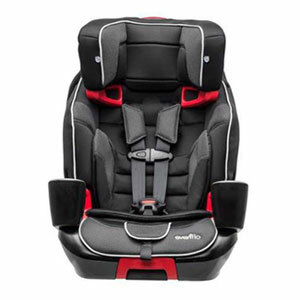 Our sedans can be fitted with high quality infant, toddler and booster car seats upon request. Your family’s safety is always our number one priority. Please advise our service representatives upon booking the number and sizes of seats you will require. Ritz makes it very easy to rent private car / sedan services. Simply call or click today! Our professional customer service staff is waiting to answer your calls and emails. Ritz is proud to offer sedan rental services throughout the entire Metro Vancouver region, Fraser Valley and Whistler. Sedans can be booked for any length of time and there is no limit on range. We can also offer cross-border sedan transportation.